Critics have been warning state policy makers about the bad precedent they would set by allowing Enbridge to abandon its old Line 3 tar sands pipeline in the ground and build a new and larger pipeline along a new route. Boy were those critics right. Enbridge seems to be planning ahead to abandon three other again pipelines in the ground — each adding future clean-up costs to landowners and/or the state. And Enbridge hasn’t been transparent about it. The decision now is in the hands of the Minnesota Public Utilities Commission (PUC). It is expected to vote on Line 3 in June. If the PUC approves Enbridge’s proposal, it would be the first major crude oil pipeline abandonment in the state’s history. Administrative Law Judge Ann O’Reilly’s 370-page report on Line 3, issued to the PUC on April 23, raises significant concerns about Enbridge’s future plans. Before getting into the details, here’s the quick background. Enbridge has multiple crude oil lines (including Lines 1, 2, 3, and 4) running through northern Minnesota in a single corridor, marked in blue in the map above. The corridor starts near the state’s northwest corner, passes through Clearbrook, then through the Leech Lake and Fond du Lac reservations, eventually connecting with Superior, Wisc. Enbridge’s Line 3 is old and failing. Enbridge has proposed a new route to avoid reservation lands because it knows they will not approve a new easement. The Line 3 reroute, shown in red on the map, starts at Clearbrook. It first turns south, passing through the Mississippi headwaters. Then it turns east, crossing the Mississippi River a second time, as well as passing some of Minnesota’s cleanest rivers, lakes and wild rice areas. While this new route avoids crossing reservations, it still violate treaty rights by crossing lands where the Ojibwe have rights to hunt, fish and gather. If that weren’t enough, Enbridge quietly put plans in place so that — if this new corridor gets approved — it would not only accommodate Line 3, but up to three other pipelines as well. That isn’t obvious from the paperwork Enbridge filed with O’Reilly. She notes in her report that Enbridge submitted a sample easement template for landowners along this new route. It says the easement is for a single pipeline. O’Reilly then connects the dots. Nowhere in the record does it appear that [Enbridge] has disclosed to the Commission that it has obtained 75-foot easements for two pipelines in the easement agreements it has obtained. It doesn’t seem far fetched to conclude that if the new Line 3 route gets approved, Enbridge will eventually abandon its other lines in the ground and build new pipelines in this new corridor. Otherwise, why pay for the extra easements? Also, we could be looking at four pipelines in this new corridor in the future, including the stretch through the Mississippi headwaters. This is the first legal deactivation of a pipeline in Minnesota history. The repercussions will play out again and again in the coming decades as the fossil fuel industry becomes less economical. Companies across the energy industry will continue to deactivate crude oil, refined petroleum, and natural gas transportation pipelines. The risks of abandonment, however, are manifold. They include potential economic, environmental, and cultural damages which might not be apparent for years or even decades … However, long-term liability for the pipeline is complex in Minnesota and federal law, and landowners and the public may be on the hook to pay these hidden costs. We are still working our way through O’Reilly’s report and will highlight more of these nuggets as we find them. 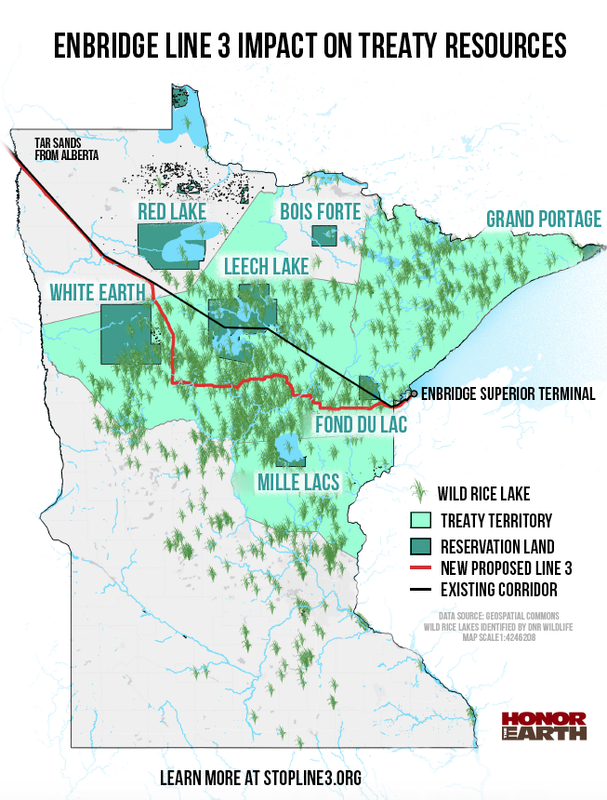 Update: The headline of this blog was changed from “Enbridge’s Secret: It Has Easements Allowing Up to Four Crude Oil Pipelines to Cross the Mississippi Headwaters” to “Enbridge’s Secret: It Has Easements Allowing for More Pipelines in the New Corridor.” Enbridge has easements along the new route not just for Line 3 but for between two and four pipelines.